WITH OVER TWO YEARS IN DEVELOPMENT, THE ECLIPSE 270° AWNING IS A CLASS LEADING DESIGN. Designed as a freestanding unit to ease set up and pack down only, the Eclipse 270° Awning is easily set up by one person. 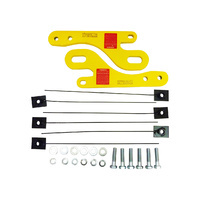 Both Australian passenger side or Australian driver side mount options are available. Hinged from both ends, the Eclipse 270° Awning spans along the full length of the vehicle as well as the rear, offering additional undercover area compared to other general market offerings (approx. 11.5m2). With optional walls erected, up to 20.5m2 of sheltered area can be achieved. Each optional wall can be set up as a wind and weather break or as an upright awning extension, allowing the Eclipse 270° Awning to extend further up to 4.2m in total, featuring 2x pivoting alloy telescopic poles which are neatly stowed along the rafter when packing away. Made from Darche’s proven and hard wearing proofed poly cotton ripstop canvas, a strong light weight box tube alloy rafter system, and pivoting from heavy duty steel and alloy swivel hinge system, the Eclipse 270° Awning will quickly become a favourite must-have for all serious tourers and campers alike. The awning and walls are constructed using a hard-wearing proofed 260gsm poly cotton ripstop canvas. The frame is a Aluminium box extrusion with steel hardware. The transit cover is constructed using laminated 600gsm PVC. With walls fitted, the set up covers approx. 20.5m2 depending on height of vehicle. 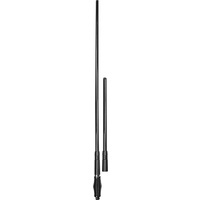 3x pivoting alloy telescopic poles are included and purposely fitted under awning arms for easy access and stowing. Each rafter has a purpose drilled hole for additional supplied spigot poles. The Eclipse 270° Awning hinges from two sides, and also has a class leading larger coverage area as the front span runs along the front of the vehicle. Available in Australian passenger side or Australian driver side mount. 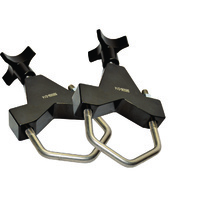 Mounting brackets are included and will accommodate most commercially available steel basket and flat rack set ups. 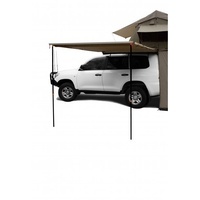 With the use of Darche's Telescopic Alloy Poles 90-230cm (sold separately), both front walls are designed to be used as additional extendible awnings. 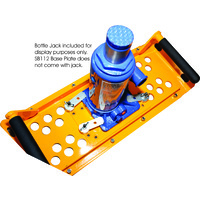 It is designed to be a free-stander to aid in set up and pack down only, however we recommend that it is pegged down at all times. It has a large surface area, meaning sudden wind gusts could become hazardous. The Darche Eclipse 270° Awning has been designed for general camping use under normal conditions. Always ensure all guy ropes are anchored correctly. It may be necessary to re-adjust guy ropes and pegs at times to maintain the structural integrity of the awning. Note: To avoid chances of personal injury and or property damage, Darche highly recommends the Eclipse 270° Awning should NOT be erected during windy conditions. Damage caused by wind and/or adverse weather will not be covered under warranty. The Eclipse 270° Awning is designed as a simple 1 person set up and pack down. Inclement weather may require the assistance of another person. Included guy ropes need to be fixed between rafters to create a water run off valley.